1984: Life Sciences – membrane biology and biophysics. Student, Faculty of Biological Sciences, University of Perugia, Italy. Ph.D. Student, Department of Membrane Research, the Weizmann Institute of Science. Rehovot, Israel. Research field: membrane biology and biophysics. Fogarty Visiting Fellow, Section on Cell Regulation, Laboratory of Biochemistry and Metabolism, National Institute of Diabetes, and Digestive and Kidney Diseases, National Institute of Health, Bethesda, Maryland, USA. Research field: biochemistry, signal transduction, TSH and thyroid hormone action. Visiting Scientist, Department of Hormone Research, the Weizmann Institute of Science, Rehovot, Israel. Research field: G-protein mediated signalling. Chief of the Research Unit on Cell Regulation, "Mario Negri" Institute for Pharmacological Research, Milano, Italy. Research field: signal transduction, TSH and thyroid hormone action, G-protein mediated signalling. Head of the Laboratory of Cell Regulation, "Mario Negri Sud" Institute, S. Maria Imbaro (Chieti), Italy. Research field: signal transduction, ADP-ribosylation, G-protein mediated signalling. Lipid metabolism, cell biology. Head of the Department of Cell Biology and Oncology, ?Mario Negri Sud" Institute, S. Maria Imbaro (Chieti), Italy. Co-founder of TIDID (Telethon Initiative for the Discovery of Drug targets). 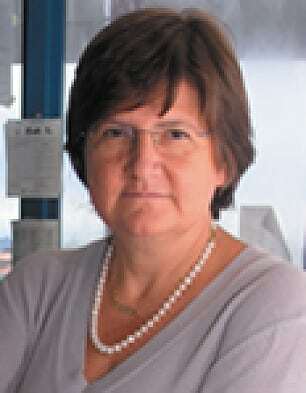 Director for Research & Development, "Mario Negri Sud" Institute, S. Maria Imbaro (Chieti), Italy. Director, Institute of Protein Biochemistry, National Research Council, Naples, Italy. Valente C, Turacchio G, Mariggiò S, Pagliuso A, Gaibisso R, Di Tullio G, Santoro M, Formiggini F, Spanò S, Piccini D, Polishchuk RS, Colanzi A, Luini A, Corda D. (2012). "A 14-3-3gamma dimer-based scaffold bridges CtBP1-S/BARS to PI(4)KIIIbeta to regulate post-Golgi carrier formation." NAT CELL BIOL 14(4): 343-354. Yang JS, Valente C, Polishchuk RS, Turacchio G, Layre E, Moody DB, Leslie CC, Gelb MH, Brown WJ, Corda D, Luini A, Hsu VW (2011) "COPI acts in both vesicular and tubular transport." NAT CELL BIOL 13(8): 996-1003.